On the whole, a successful but busy year is coming to its end and we look forward to start into the festive season. 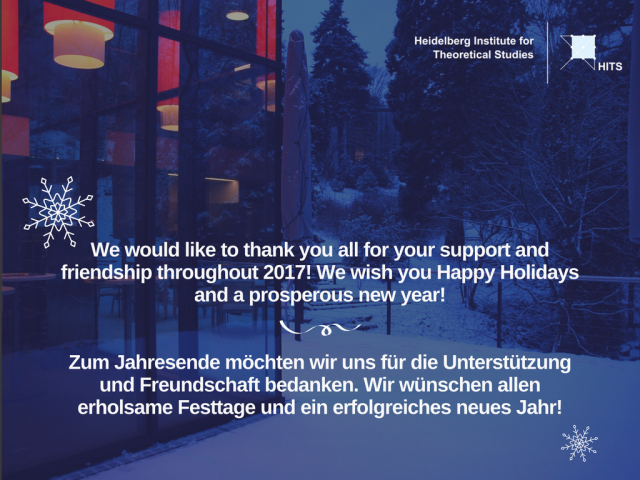 We wish you all Happy Holidays and a successful New Year. We hope for 2018 to be just as great and would be pleased to have you take part again.